Superior quality detailing services will now be accessible to vehicle owners in The Woodlands, Texas, regardless of the size or make of their prized possessions. 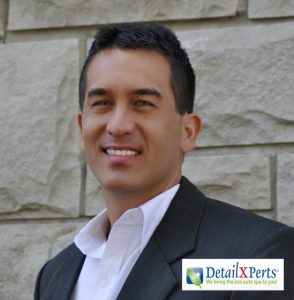 Ken Outlaw, formerly a US Army Captain and management professional who has garnered various awards for his unbeatable performance in his various endeavors, is now the proud owner-operator of DetailXPerts of The Woodlands Texas. Outlaw has big plans for his new business. He wants to hire local people not only to help him achieve his goals but also to enhance the economy and the community. Being the newest franchisee of the world’s first truck and car wash franchise that uses a unique steam methodology for cleaning all types of vehicles, he is confident he can bring a whole new definition to the auto detailing industry. “Cleaning vehicles with a revolutionary steam cleaning technology is incredible. It takes the cleaning experience to another level. Clean vehicles are important for sanitary reasons and for improving the quality of life and driving experience for everyone riding in the vehicle,” he says. Outlaw has already considered owning his own business for some time, but his military and project management background made him scrutinize different business opportunities that came his way. He was aware that a shining career in he military was not the sole ticket to entrepreneurial success. So what made him choose DetailXPerts? “DetailXPerts’ business model and the market outlook were the most interesting characteristics. Utilizing a new technology and being mobile were great contributors as well,” Outlaw says. The franchisor’s wise use of water and green products sealed the deal for him. As an ex-military captain, he knew of the damages that can arise from chemical runoff and severe water shortage. With Outlaw’s leadership abilities, commitment to excellence and excellent interpersonal skills, DeailXPerts of The Woodlands Texas might just be the business to offer the best truck and car wash services in the area. DetailXPerts of The Woodlands Texas will be offering interior detailing, car detailing services, hand car wash, mobile truck washing, trailer washout, and fleet cleaning to vehicle owners in Montgomery County – Conroe, Montgomery, The Woodlands, Magnolia, Pinehurst. Other lines of service include boats, motorcycles, buses, and more. Businesses are welcome to inquire for special rates and long-term relations. You can easily reach them at 281-760-4141 and schedule your free demo!